DYNACORD C Series amplifiers are dedicated installation DSP amplifiers optimized for 24/7 operation. Integrated digital signal procesing provides access to professional speaker processing with FIR Drive technology. 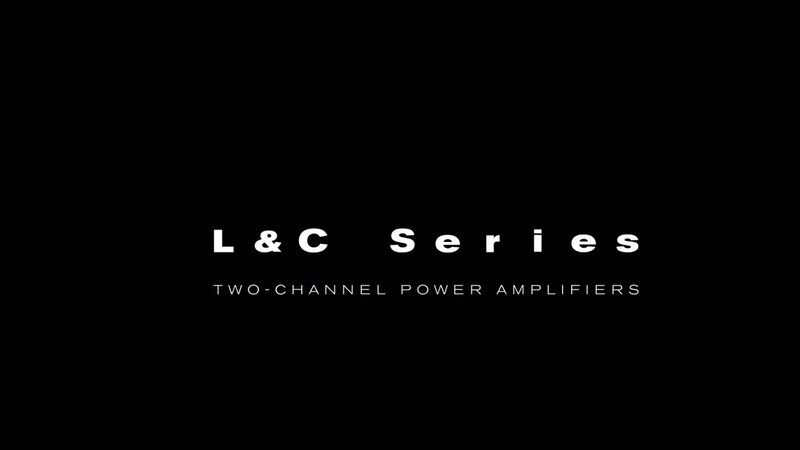 C Series amplifier utilize Class A/B resp. Class H topologies, which provide market leading acoustic performance and reliability. The connectivity is optimized for the needs of fixed install applications. For low cost of ownership a power saving standby mode is available. A front panel LC display allows local control and supervision of the amplifier. An intuitive system control software allows fast system setup, flexible system control and comprehensive supervision. Test signal for max. output power according IHF-A-202 (Dynamic-Headroom, burst 1 kHz/20 ms on/480 ms off/low level -20 dBu). Direct drive load capability. The direct drive load capability is a measure for the total wattage that can be driven in 70 V/100 V operation mode. A load capability value of 1250 watts means that this amplifier can drive e.g. 50 loudspeakers at a voltage tab of 25 watts. The dB value in parentheses indicates the delta to maximum modulation. In cases where the maximum modulation is not required you can use the smaller amplifier model. 1This operation mode is not recommended due to the efficiency reasons. Please use the next smaller amplifier for this mode. 2Direct drive mode not available for this configuration. Dynacord comes to North & South America! Dynacord is part of the Bosch Communications Systems family of brands, offering the world’s most complete portfolio of professional audio and communications solutions.